Online Apartment Marketing Conference awards contract to well known multifamily web developer. The Apartment Internet Marketing (AIM) Conference, http://www.ApartmentInternetMarketing.com, has contracted Spherexx.com to build its 2008 Conference website. AIM has advanced online marketing technology for the Multifamily Housing Industry since 2005. It is the only educational conference of its kind where decision makers can learn how to implement new Internet marketing strategies. 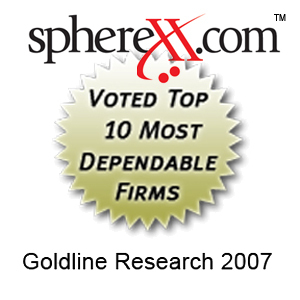 Spherexx.com has sponsored and contributed to the educational conference since 2006. "I am so fortunate to work with such a motivated and experienced team here at Spherexx.com. Many of us have come from the property management industry; so we have been in the trenches just like the AIM attendees in our work history. We know the value of having a competitive edge in this industry and having the right tools and advisors to help insure a profitable implementation of these new Internet prospecting, leasing and retention ideas the attendees will be shown at this conference," states Becca Wilson, President and CEO of Spherexx.com, "We are deeply honored to have the opportunity to develop AIM's web presence." Spherexx.com is also a software developer for lead generation, marketing, and prospecting tools branded under http://www.GotNoVacancy.com ™, http://www.HomeClosingTools.com ™, and http://www.MyClosingTools.com ™. The conference was recently acquired by Steve Lefkovits' Joshua Tree Internet Media, LLC from Realty DataTrust, the makers of VaultWare™, who are visionaries of like mind concerning the advancement of online marketing technology in the multifamily housing industry. Multihousing Professional Magazine, a periodical dedicated to executive level readership, will act as the AIM media sponsor. Registration is now available for the 2008 conference, which takes place on April 23-25 at the Marriott McDowell Mountain, http://www.Mariott.com, in Scottsdale, Arizona. To learn more about, or to register for the Apartment Internet Marketing Conference, go to http://www.ApartmentInternetMarketing.com. Spherexx.com, a full-service marketing & technology firm with offices in Dallas, Tulsa, and Houston, offers a wide selection of professional services including website design & development, touch-screen kiosks, marketing services (logo design, branding, video/multimedia production, 3D animation, and copywriting), mobile technology, website & email hosting, remote backup storage, database solutions, lead tracking and sales closing tools, search engine positioning & optimization, e-commerce solutions and custom programming. For detailed information see http://www.Spherexx.com. Spherexx.com has provided services to innovative real estate companies like Trammell Crow, Lincoln Property Company, Riverstone Residential, Essex Property Trust, BH Management, ZOM Residential Services and Tarragon LLC, as well as reverse mortgage companies like ReverseIt.com and Urban Financial Group. Founded in 2001 by industry veteran Steve Lefkovits, Joshua Tree Consulting, http://www.JoshuaTreeConsulting.com is dedicated to the growth and success of the multifamily industry. Joshua Tree helps firms respond strategically to growth opportunities and to analyze the problems in getting there. Prior to founding Joshua Tree Consulting, Lefkovits was Senior Vice President for Technology Initiatives at BRE Properties, Inc. and Vice President of Housing and Technology at the National Multi Housing Council (NMHC). While at NMHC, Lefkovits created and produced the first six NMHC Technology Conferences. Joshua Tree Internet Media, LLC is a new subsidiary of Joshua Tree Consulting that will manage its conference and media business. Multihousing Professional Magazine, http://www.MultihousingPro.com , is a national title that provides comprehensive, up-to-date news and information affecting developers, CEOs, owners and managers in the multihousing industry. Content includes in-depth research, investigative reporting, expert analysis and insight into key issues that drive the industry: finance, economics, profitability, operations, regulatory issues, technology, trends that matter and insights on key players and their strategies. Reaching over 41,000 industry professionals, Multihousing Professional is one of the broadest reaching publications in the industry. Realty DataTrust Corporation, located in Scottsdale, Ariz., offers online leasing solutions for the multifamily housing industry that make leasing apartments easier for both property managers and consumers. The award-winning VaultWare™ solution revolutionized the industry when it was introduced in 2003, fulfilling a need no other service could provide by automatically displaying current rates, true availability and up-to-date promotions on demand 24 hours per day, 7 days per week from multiple websites. Today, 100 management companies use VaultWare and each month thousands of requests are processed through its reservation system. In 2005 the company took the lead in spearheading an initiative to educate the multifamily industry on Internet trends and related technology breakthroughs by hosting the first annual Apartment Internet Marketing Conference. To learn more about VaultWare ™, Realty DataTrust, visit the company's website: http://www.Vaultware.com.